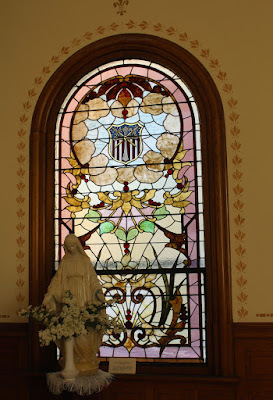 These magnificent stained glass windows adorn the Goldsmith Memorial Chapel at Notre Dame Church, on eastbound Allen Street, between South High Street (to the west) and South Prairie Street (to the east), at 117 Allen Street, Chippewa Falls, Wisconsin 54729. See also, Father Goldsmith's Tomb, also at this location. The above photo, and below close-ups, are of the chapel's north window. 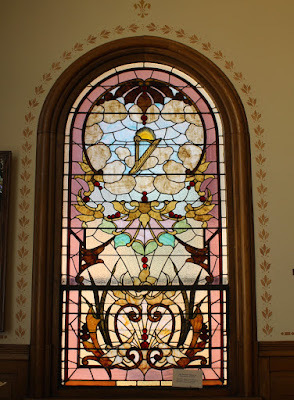 This window depicts a Celtic Harp with a rising sun. 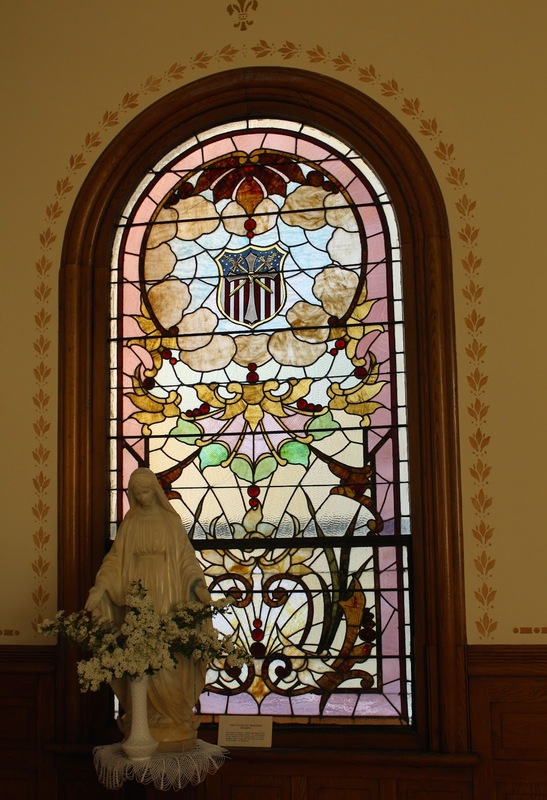 It was donated to the chapel by the Ancient Order of Hibernians, an organization of persons of Irish ancestry. 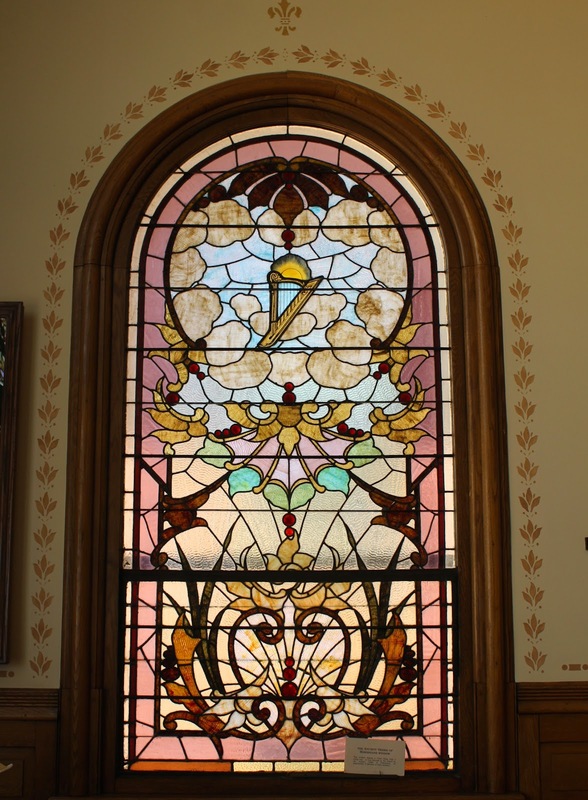 This window depicts a shield emblazoned with the Cross and crossed swords. It was donated to the chapel by the Organization of Catholic Knights, which may have been the forerunner of the Knights of Columbus. See also, Father Goldsmith's Tomb, which is in front of the altar.